The Platinum Card from American Express currently has an Informr score of 8.2 out of 10. This score is based on our evaluation of 22 sources including reviews from users and the web's most trusted critics. 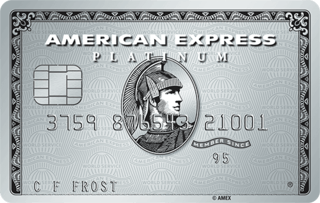 Platinum Card from American Express is typically available to those with excellent credit scores (650 or greater). The Platinum Card® from American Express is a strong choice for travelers in the market for a charge card who are looking for significant credits and perks. An exclusive charge card for frequent travelers with ample budgets and a penchant for luxury benefits in flight, in the airport, and in hotels. With low rewards on everything except travel, it’s definitely not an everyday-type card for the vast majority of the card-holding public. On eligible hotels booked on amextravel.com. On flights booked directly with airlines or with American Express Travel. Enjoy $15 in Uber credits for U.S. rides each month plus a bonus $20 in December, simply because you're a Platinum Card Member. Enjoy access to the Global Lounge Collection. $100 fee credit for global entry or TSA Pre. If you’re an occasional traveler who flies coach and stays at the Holiday Inn, The Platinum Card from American Express isn’t going to magically get you into first class and the presidential suite at the Ritz-Carlton at no extra charge. But if you’re a regular traveler who doesn’t mind spending money for quality and would love to be rewarded for doing so, then it might be a perfect fit for your wallet. Access to choice airport lounges and excellent earnings for air travel make the Platinum the right choice for a very frequent flyer. The goal of airline rewards,is to quickly rack up enough miles to buy a fantastic flight while capping the costs of your ongoing travel. No American, Delta, or United card strikes that balance as well as Amex’s premium card. The American Express Platinum Card is the card to have for travelers who want the best perks in the business. People who want a charge card or spend heavily in airfare will also benefit. The benefits are so valuable that any version of the Platinum Card could be a keeper for travelers. The Platinum Card from American Express is a one-of-a-kind charge card that offers consumers perks that most issuers can’t match. The Platinum Card from American Express is a high-end travel card that offers luxury rewards. You earn points on travel and hotels, making this a useful card for frequent travelers. Although at initial glance the $550 annual fee seems a little hefty, the cost is justified by all the benefits you’ll receive. If you’re on the market for a super swanky card with all the bells and whistles, the Platinum Card from American Express is the one. The Amex Platinum Card is a true luxury travel card, offering lavish benefits such as airport lounge access and upgrade opportunities at fine hotels—but this treatment doesn’t come cheap, as the card comes with an annual fee of $550.